Sawdust consists of a mix of heat-treated recycled and kiln dried white wood with a ratio of up to 50%. The moisture content is between 5-12%. Sawdust is hammer mill processed and screened to ¼”. 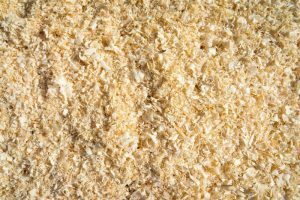 Sawdust is primarily used to combat lost circulation in water-based muds. It is used to control seepage losses in both water and oil-based drilling fluids. It also provides lubrication and protection from differential sticking in depleted zones. Sawdust may plug nozzles and directional tool screens. Solids control equipment and shakers need to be bypassed to retain sawdust in the active system. Mix through a mixing hopper or directly into the tank, provide sufficient agitation. As a supplier of various drilling fluid products, Novamen offers a full range of products for different applications. We are committed to providing a high level of customer support and high-quality products. Contact us today for more information on Sawdust.